The four signs for the Cultus Lake Boardwalk are now nearing completion. Each colour of the sign gets a minimum of three coats of paint to ensure a long life and fade resistance. That's a lot of cutting of the many colours! 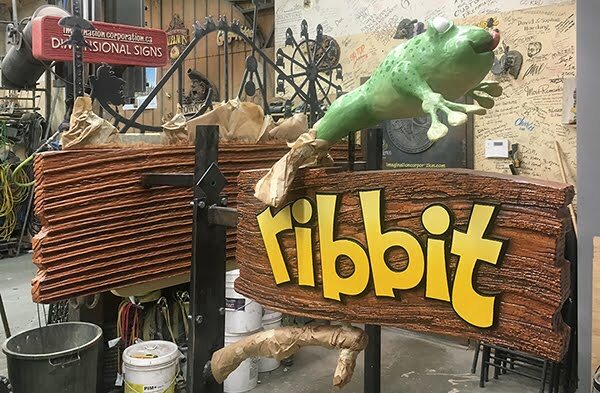 The ribbit ride sign now only needs one more blend coat of yellow paint on the lettering plus some eyeball details before it is declared done. 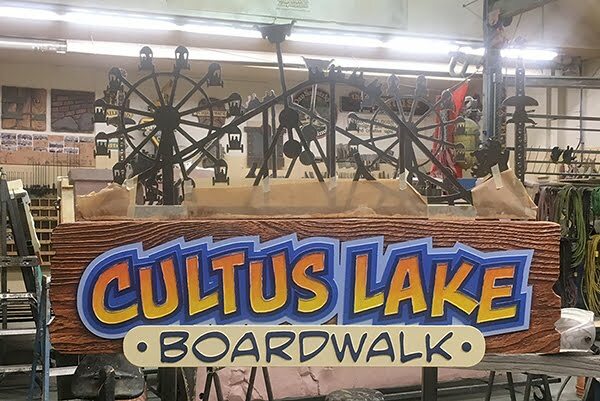 The three Cultus Lake Boardwalk signs need two more coats of blending on the letters plus three coats of white on the borders. Hopefully tomorrow has enough hours to get the job done. In any case by week's end we'll be bolting them into place up at the park.